Taoiseach Leo Varadkar has said he remains very confident there will be no need for passport controls on the Irish border post Brexit. 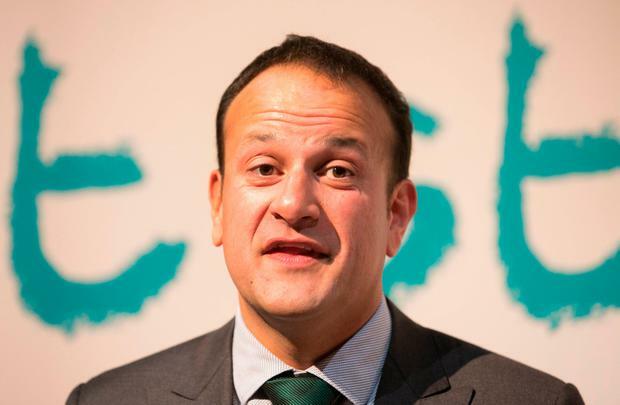 Mr Varadkar was responding to concerns raised by former Irish president Mary McAleese, who questioned how the EU and UK could differentiate between Irish citizens, who are set to be allowed to travel freely across the border, and other European nationals. If the almost-century-old Common Travel Area agreement remains in place post Brexit, UK and Irish citizens will continue to be able to work and travel freely across the two jurisdictions. "My view is that sooner or later pressure will come on to make it an ID card phenomenon," she said. The Taoiseach, who like Mrs McAleese was interviewed on the border issue by RTE, said he was sure passport controls would not be needed. "In life and politics nothing is 100% certain, but I am very confident that there won't be passport controls between Northern Ireland and Ireland," he said. "We want to stay in the Common Travel Area, which allows people to travel freely between north and south and Britain and Ireland. "The British government wants that too and so do our European partners. "So while there will be a big debate and difficult negotiations around issues such as trade, around issues such as the financial settlement, the fact that Dublin, Belfast, London and Brussels want to continue passport-free travel between Northern Ireland and Ireland gives me absolute assurance that that won't be the case. "I understand former president McAleese's concerns but it is one area that I am very sure about and that's that there won't be a requirement to produce a passport to travel to Northern Ireland." He added: "The reason why I can be confident that there won't be passport controls between Northern Ireland and Ireland is the fact that nobody is looking for them." The UK's vision of frictionless borders has been met with scepticism in the EU. The European Parliament's chief negotiator Guy Verhofstadt has claimed invisible borders are a "fantasy".